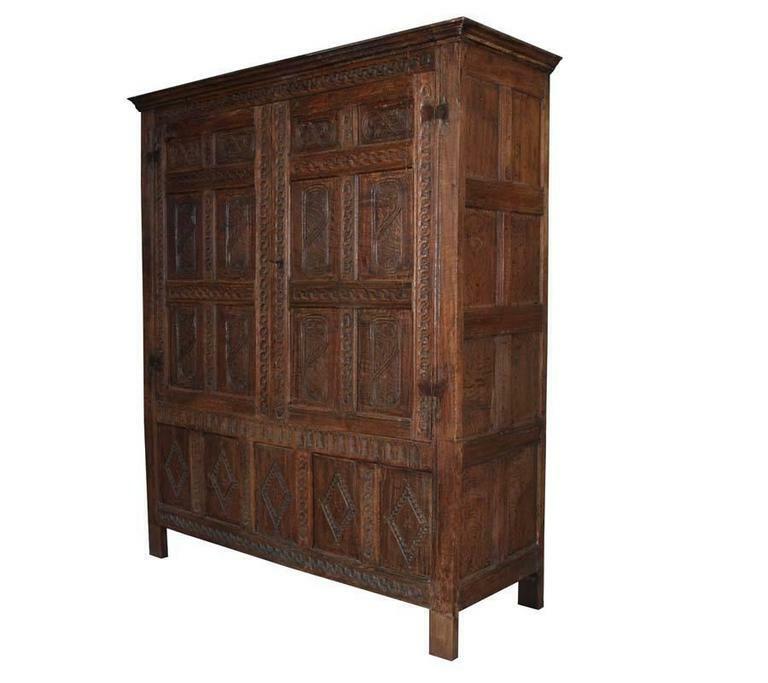 Very early 17th century cabinet or wardrobe made from oakwood. 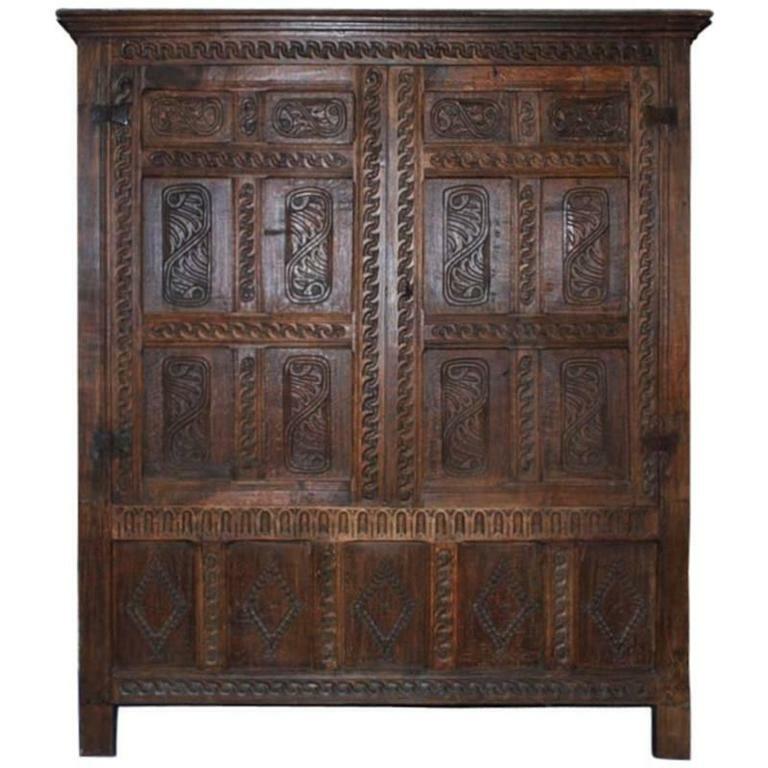 The cabinet is decorated with primitve jacobean carvings. 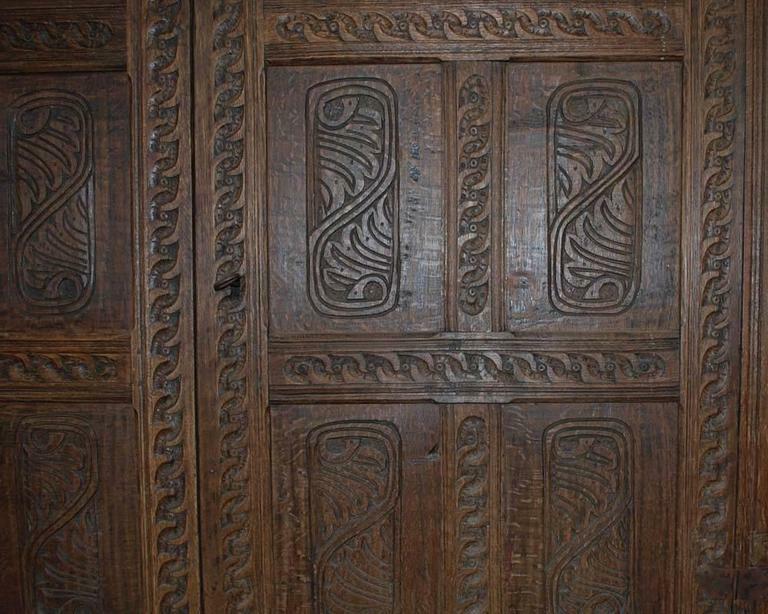 Most likely the cabinet stood in a corner of a room, because on the right side it has no carving. 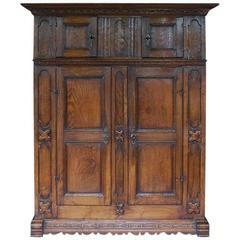 The cabinet has a light wax finish with a natural appearance. 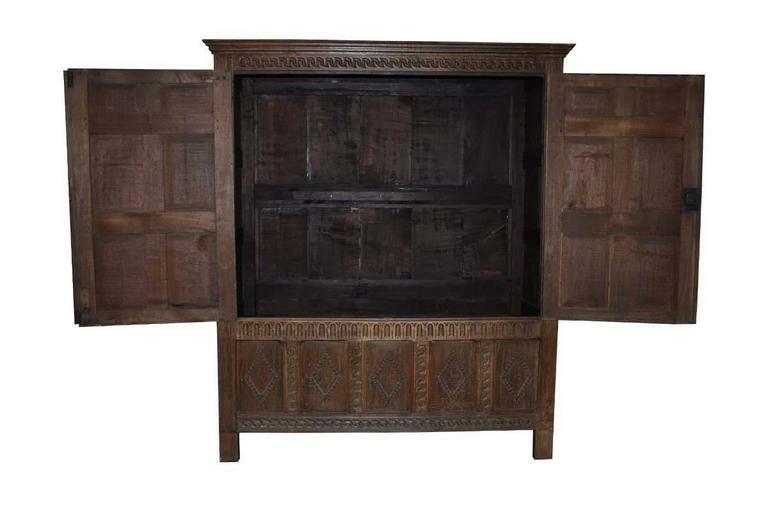 It comes (historicly) without an interior, but this can be made to order. 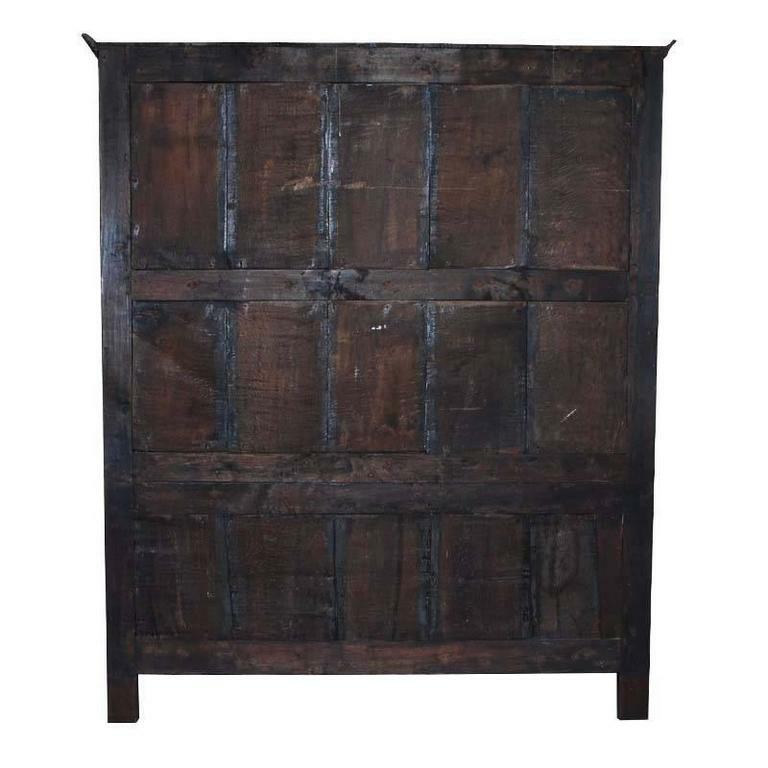 Eleganter großer Kleiderschrank mit Platz für TV und nach oben offenem Rücken. 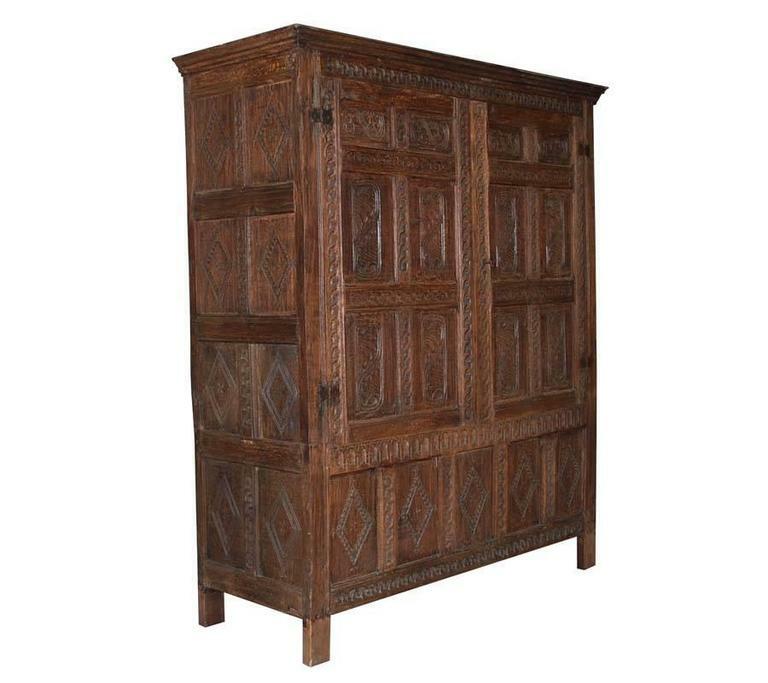 Alle Century Furniture-Markenzeichen sind vorhanden.